2412 2nd Ave N #16, Birmingham, AL.| MLS# 839469 | Richard Jacks UABLIVING.com 205-910-2297 | Birmingham AL Real Estate | Contact us to request more information about our Homes for Sale in the Birmingham AL area. This gorgeous, industrial, light-filled 2 story condo is one of a kind within the Loft District! This true loft space overlooks 24th street with gorgeous floor to ceiling windows and has the exposed brick and hardwood floors throughout that everyone looks for in a loft. The unit comes with 2 secured parking spaces right out the main door of the unit which is a rare find in a condo downtown. The spiral staircase adds even more character to the main level as it goes down to a large bonus floor downstairs. This space offers flexible alternatives to create additional bedrooms, a man cave, or just use your imagination and creativity. This is a unique downtown space not to be missed! 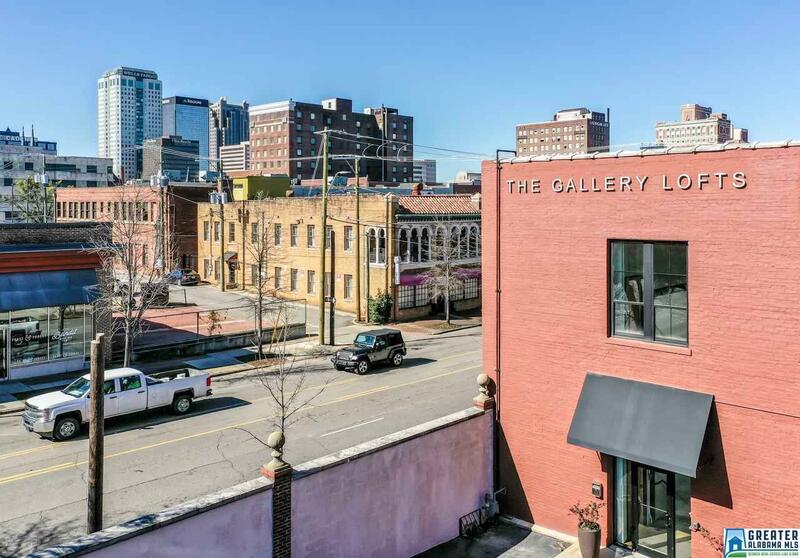 The location of this condo is in the heart of the exciting Loft District only steps away to all of the some of the best restaurants Birmingham has to offer. It is an exciting time to live Downtown and this is the perfect place to call home and at an unbeatable price! Driving Directions: Red Mountain Expressway To 2nd Ave. N. Exit. Property Is On The Corner Of 2nd Ave. N. And 24th St.